He believes the president is the oxygen of the party and will die off when he's off the scene. 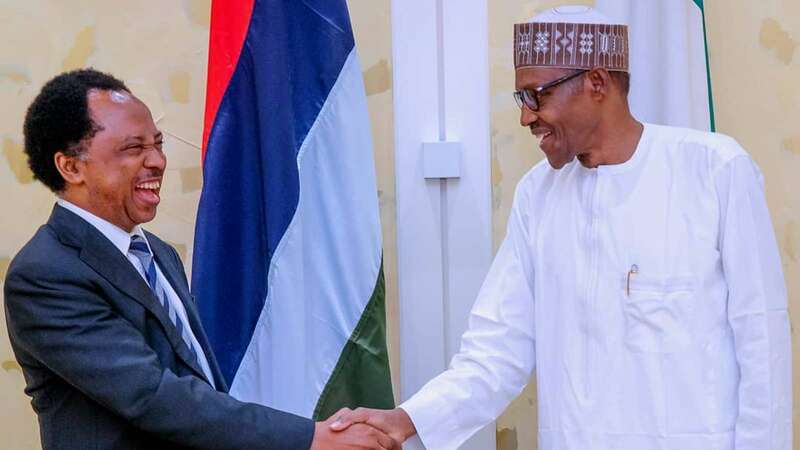 Senator Shehu Sani (Kaduna Central – PRP) has predicted the fall of the All Progressives Congress (APC) immediately President Muhammadu Buhari is no longer politically active. The lawmaker recently dumped the party after he controversially lost his re-election ticket to Uba Sani, an aide to state governor, Nasir El-Rufai, against whom he&apos;s been publicly feuding for months. While speaking during an interview on Channels Television on Sunday, October 28, 2018, the lawmaker said Buhari is the oxygen of the party and will die off when he&apos;s off the scene. He said, "From the statement coming from people who for a very long time have been sitting on the fence and have not been voicing out their opinions, you can see it very clearly that the party cannot last beyond the lifespan of President Muhammadu Buhari. "Buhari remains the heart, the soul, and the oxygen of the party. I don&apos;t think after Buhari, there&apos;ll be APC again in the sense that everything begins and ends with him. "When you have a party like that, then you know very well the terminal point is predictable." When asked what he thinks about the president winning re-election during the 2019 presidential election, he failed to give a definitive opinion. "It is possible for him to win but not on the kind of political atmoshpere that we&apos;ve found ourselves within the party and outside of the party. A party is supposed to be a vehicle that&apos;ll deliver him to the presidency and now it is in a very bad shape," he said. The election, scheduled for February 16, 2019, is expected to be closely fought between President Buhari and former Vice President, Atiku Abubakar, of the People&apos;s Democratic Party (PDP). Sani also hinted during the interview that he&apos;ll be contesting for re-election to the Senate next year on the platform of his new party, People&apos;s Redemption Party (PRP). Next PostNext Okechukwu Ofili, CEO of Okadabooks, is our MCM today!